Jonathan is a Partner in the Commercial Property team specialising in development, acquisitions, landlord & tenant, and secured lending. 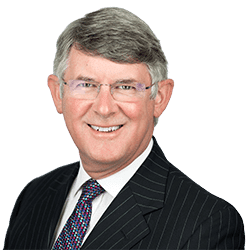 Jonathan’s expertise includes working with a team of five property lawyers in the Birmingham office, primarily for the property portfolio of one of the national discount supermarkets. Other clients include investors, developers, and small businesses. Jonathan joined Clarke Willmott in 2006, when the Birmingham office of his former firm, Heatons, merged with Clarke Willmott. This followed spells as a partner with Shoosmiths and Howes Percival in Northampton, giving Jonathan over 30 years’ experience in the law. Retail. Jonathan is responsible for the client relationship with one of the largest European discounters. Secured lending. Jonathan has acted for banks, building societies and borrowers in large portfolio mortgages to secure sums in excess of £100m. Jonathan is also a landlord & tenant specialist.